A show stopping floor lamp from Eichholtz, the Atlantic floor lamp will add dramatic impact to any interior. This statement piece is inspired by the Hollywood era and features an elongated nickel tripod base. 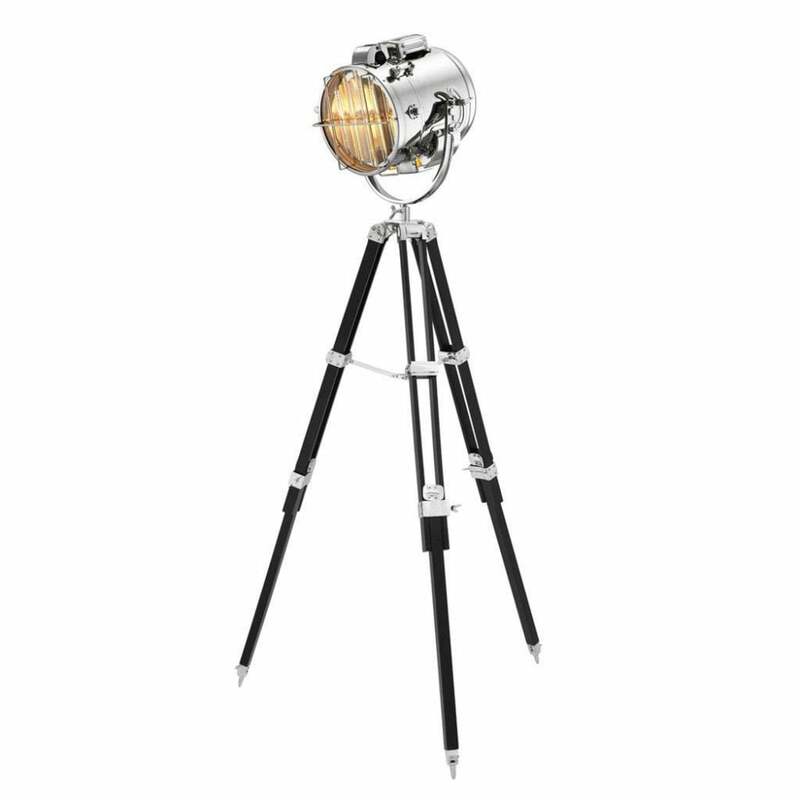 Adjacent to the base is a striking searchlight style lamp with character. Add a touch of glamour to brighten up a dark corner in your interior. The lamp would also work within a nautical inspired interior, with a subtle marine feel reflected in the stylish design. The luxury Atlantic floor lamp is available in either a nickel or antique gold finish with options available for all manner of interior schemes.